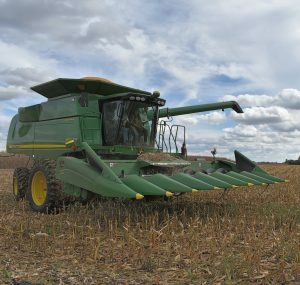 A combine is used to harvest corn, soybeans, and other grains. The combine earned its name because it “combines” many functions that happen at the same time. As it moves across a field, a combine cuts each plant, removes the grains, and gathers them into the combine’s grain tank. 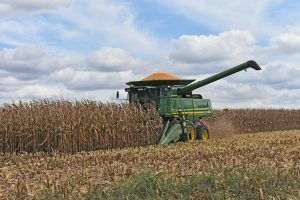 Unneeded material like corn cobs or soybean pods blow out the back of the combine. While harvesting, the points or “snouts” of this combine’s corn head will be aimed between the corn rows. Cutting wheels between each snout cut the stalks and gathering chains pull off the ears of corn. Augers on each side of the head pull the ears toward the middle and into the combine. cart, wagon, or semi trailer. The “header” or harvesting mechanism on the front of a combine is removable. 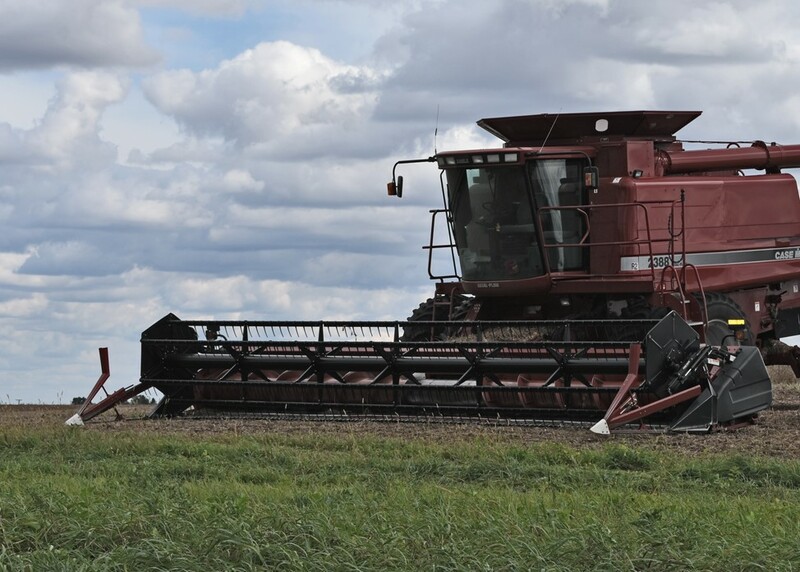 Also called a “head,” the reel-style header on this CASE-IH machine is used for soybeans and small grains. This kind of header is also called a grain platform. Modern combines are steered with GPS (Global Positioning Systems) technology. The farmer only has to steer to turn the machine at the end of the field or to travel on roadways. 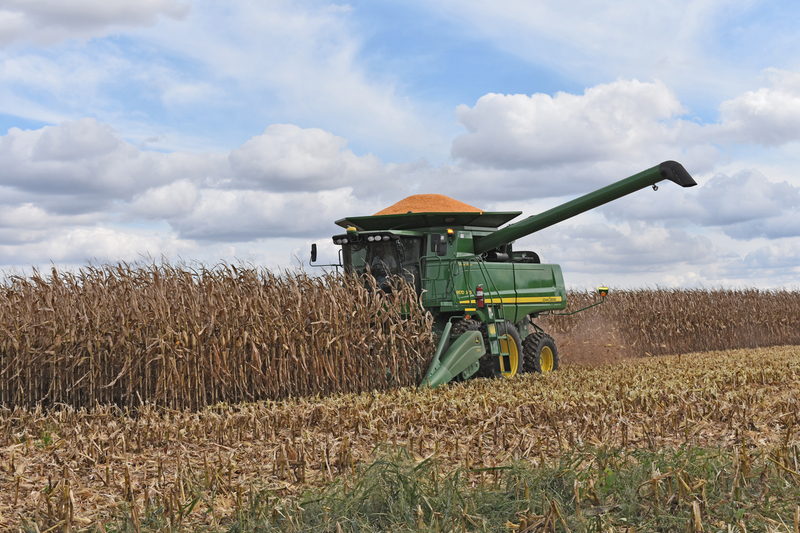 GPS technology also allows farmers to create maps showing how much grain was harvested at any given point in a field. This John Deere combine is harvesting corn. The grain tank is visibly full, so it will soon need to be emptied through the auger arm extending from the side of the machine.